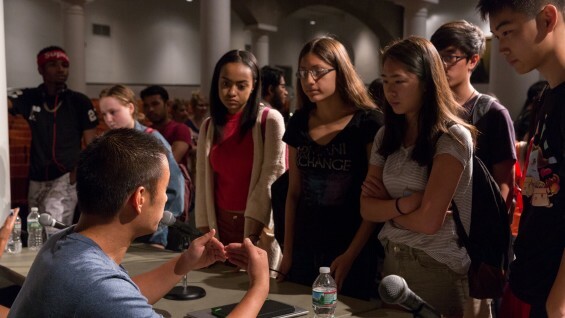 On July 28, a panel of six young engineers, computer scientists, and biomedical researchers spoke to this year’s Summer STEM participants, approximately 212 high school students from the New York area. They discussed their training, their work and the challenges facing women and minorities in the field. The panel included Antonia Zaferiou, a Cooper mechanical engineering alumna who graduated in 2010, who described her work in biomedical engineering. She told the students that their current interests, no matter how far afield from STEM they may seem, could play an essential role in their future careers. She herself had been a dancer before arriving at Cooper and decided she wanted to learn about the mechanics of movement. Eventually she earned her MS-PhD in biomedical engineering from the University of Southern California and is now a post-doc at the University of Michigan as well as one of 11 instructors in Cooper's Summer STEM program. 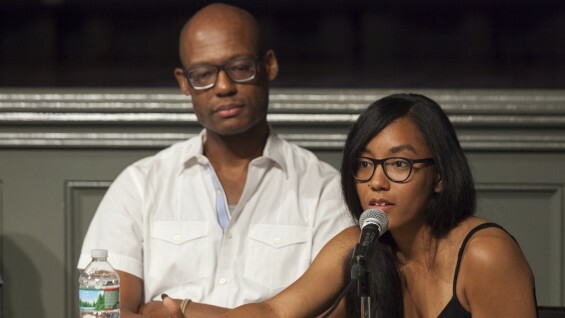 Jonathan Chin, another panelist who had studied computer science and is now an educator, poet and entrepreneur, was shocked to discover that he had classmates at New York University who did not have enough to eat. He went on to found Share Meals, a website that lets people fundraise and advocate for policy changes to end hunger on campuses. 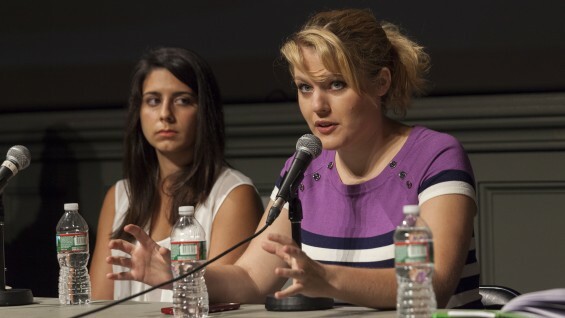 Jennifer Halweil, an electrical engineer, actress, and entrepreneur, acted as moderator of the panel. Noting that the field needed more women and people of color, she quoted the physicist and astronaut Sally Ride, “You can’t be what you can’t see.” Each of the panelists discussed their work and some of the obstacles students might encounter over the course of their careers. Sabriya Stukes, from the Albert Einstein College of Medicine who has a PhD in Biomedical Sciences and works to translate medical research into business ideas, described how it felt to often be the only Black woman in work places and at STEM-related conferences. In response, Delano McFarlane, formerly the head of data science at Venmo, argued that creating more diversity in science and technology can be fostered by showing corporations that employing engineers from all backgrounds creates a better product. “We’ll be building better things and attracting better people,” he said. The Summer STEM students, all rising juniors and seniors in high school, have been attending the program for the past five weeks. In addition to the hands-on work in the classroom, the students took workshops to develop their technical communication skills, met professionals in a number of STEM fields during field trips, and were given seminars in preparing for careers and the college admissions process. 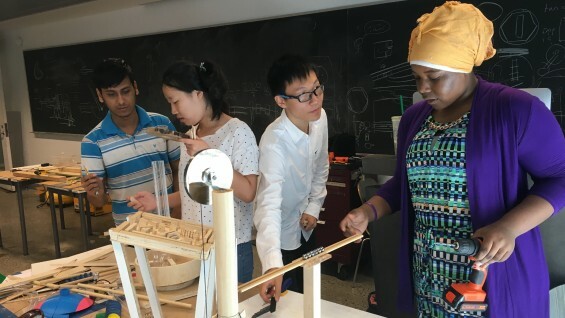 On Thursday, August 11, they will present their work from 11 different projects in a broad range of STEM-related fields. This event is free and open to the public; registration is strongly encouraged using this link.